Samsung’s SUHD models are the company’s best performing premium lineup of HDTVs. When first released, the SUHD Series only consisted of curved screen models which didn’t appeal to consumers that were interested in flat panel (non-curved) designs. Fortunately, Samsung decided to release flat panel SUHD models for consumers that prefer this traditional display design. 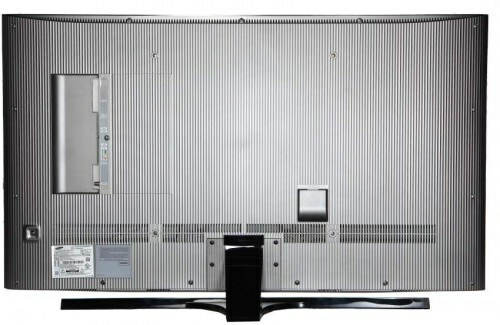 The JS8500 is part of this series and is Samsung’s best performing flat panel model, and shares this top position with the much more expensive 78″ JS8600. The JS8500 Series is available in 48″, 55″ and 65″ screen sizes. Since the UN65JS8500 is part of the SUHD lineup, it contains most of the key performance features that are available in this series, with the exception of a few that are found in the curved SUHD models which include full-array backlighting, Precision Black Pro (JS9500 only) and X8 Octa-Core Processor. I must point out, however, that the exclusion of the features mentioned above does not hinder the performance of the JS8500 which certainly provides excellent picture quality. More on this later. The JS8500 represents a very handsome and eye appealing design. The silver bezel trim that surrounds the screen is reasonably thin and adds an attractive design element to the displays overall appearance. 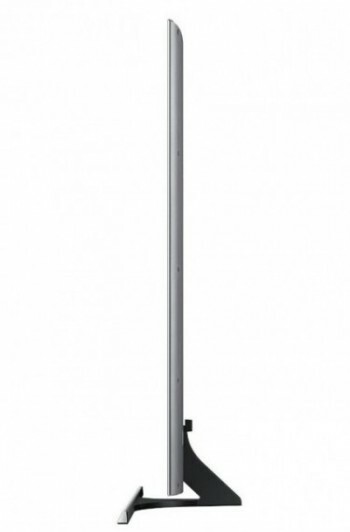 The stand that supports the TV is fashioned in brushed silver and features a sleek T-shaped design which complements the TV’s display panel without drawing too much attention to itself. This stand also provides very good support for the TV and proved to provide sufficient stability for the display panel as I gently rocked it back and forth. I normally don’t have much to say about the back panels of most HTDVs I review, but the JS8500 is one of those rare exceptions. I found the rippled, “yet smooth to the touch”, grey finish rear panel to be quite attractive and worth making a note of here. The 65″ glossy screen on this set is illuminated with edge-lit LED backlighting. Samsung has also incorporated local dimming in this backlighting scheme. This application uses Samsung’s Precision Black hardware-based local dimming and UHD Micro Dimming software-based dimming for increased contrast and black level performance. However, I must point out that this sort of local dimming is not nearly as effective as full-array backlighting with local dimming. Smart Touch Remote – this compact remote’s built-in microphone is used to control the TV via voice commands, or the remote can be used like a mouse and simply point-and-click to operate TV functions. 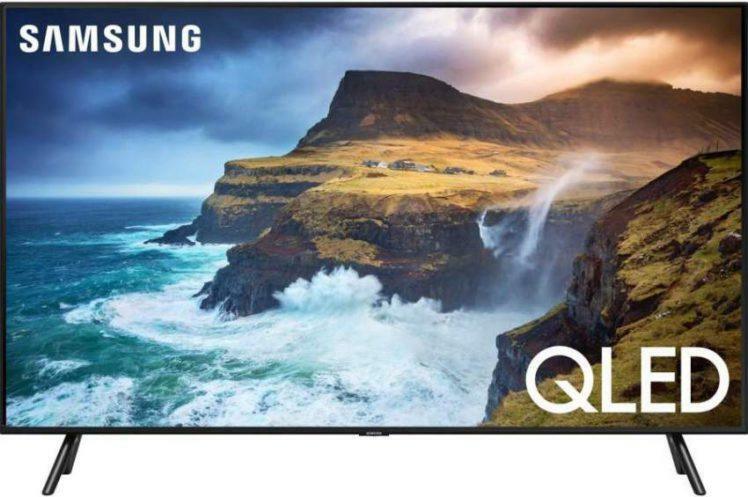 In my opinion and experience, the UN65JS8500 is one of Samsung’s best performing TVs in their current lineup and delivers excellent performance in the key areas of picture quality which include contrast, black level and color rendition. The wide color gamut capability on this display delivered an exceptional color palette which provided very accurate hues with a very good tonal balance. Bright colors had a strong and vibrant on-screen presence that allowed these types of images to blossom from the screen. The JS8500 provided very good contrast and black level performance, rendering dark, and for the most part substantially inky blacks for a premium LED display. Peak white output was very good while viewing white text against a completely black background. The text was a very bright white that popped from the screen without any noticeable blooming. Shadow detail in dark scenes was also very good on this TV. Screen uniformity while viewing a black background appeared to be pretty good on this display with no apparent light bleed or blooming effects. Motion blur and judder were not an issue with this display, so fast motion content was rendered smooth and blur free, while 24fps movie content from blu-ray disc are delivered with no judder. I have very little in the way of negative comments regarding this TV, with the most apparent issue being its off-axis (side angle) viewing performance. As with all LED displays I have reviewed, the JS8500 did suffer from color saturation and contrast loss when viewed at wide angles. However, these losses were very minimal. In fact, I felt (and observed) the side angle viewing performance on this TV was slightly above what I consider average. My only other small criticism of this TV is its Smart Touch remote. 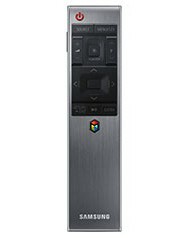 I actually do like this remote, I just wish it were a bit more user friendly. It also lacks many commonly used buttons that I prefer to see and use on a remote control. 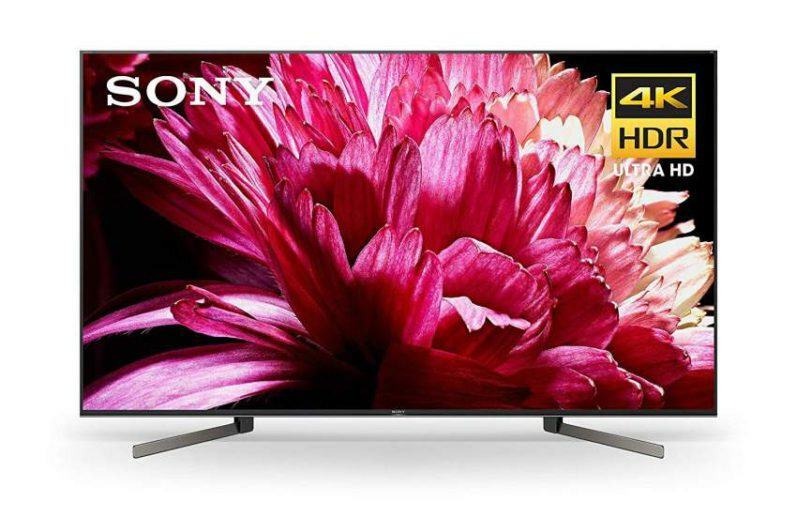 The UN65JS8500 is a great performing 4K UHD TV. 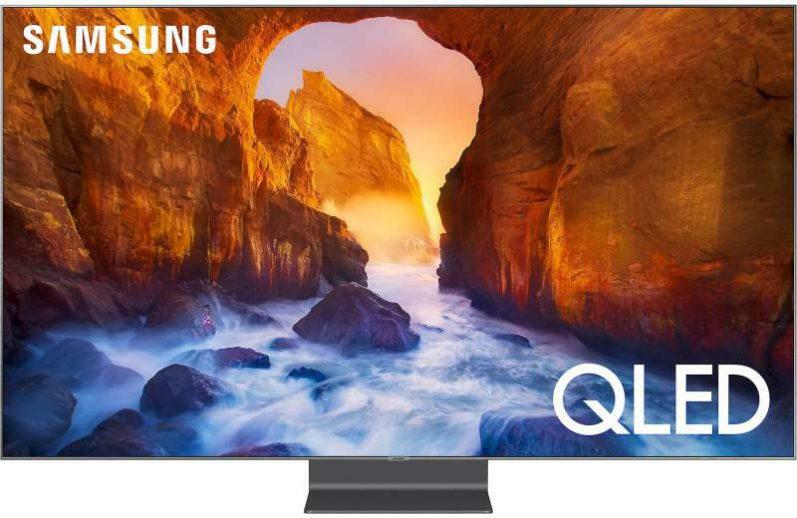 And when it comes to picture quality, you will not be disappointed with this display, which in my opinion is one of the better performing Ultra HD televisions currently available. 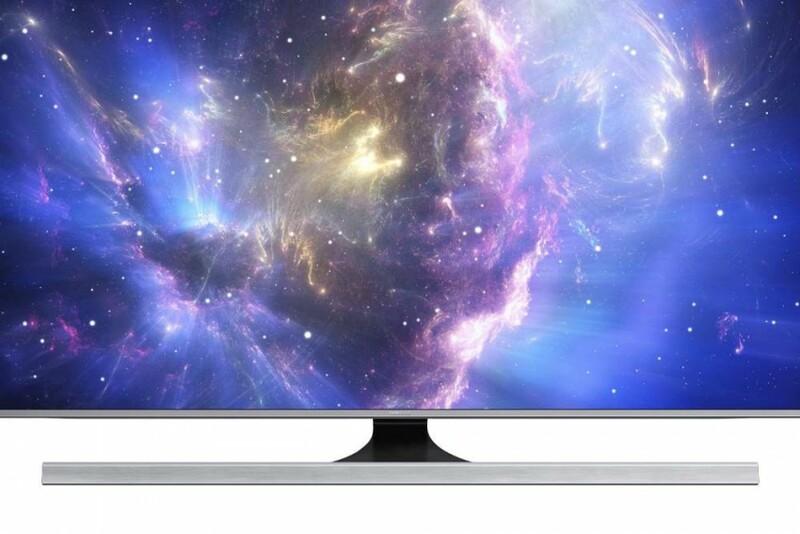 This TV also provides an excellent suite of features which many of them have trickled down from Samsung’s top models. On a side note, some consumers may find the JS8500 a bit pricey (depending on where you purchase) when compared to other similar models from other manufacturers. So with that said, I suggest you put this TV on your list of excellent performing 4K TV prospects.